Hair follicle sebaceous gland. 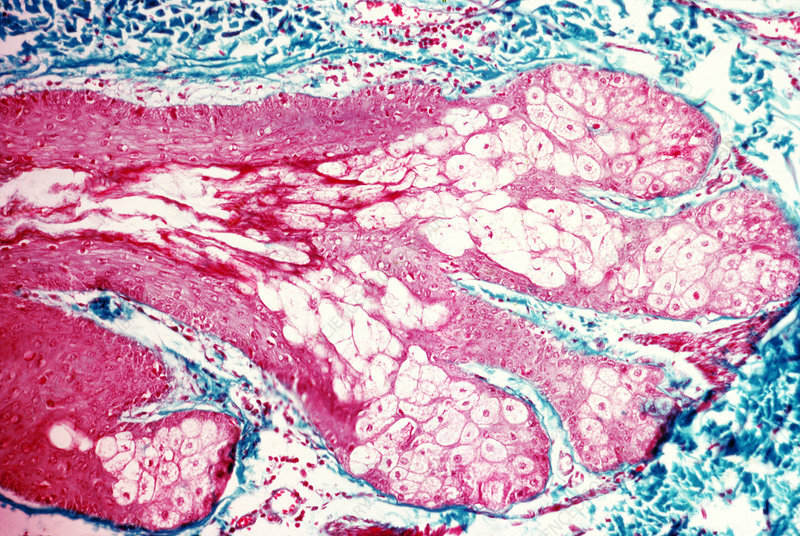 Light micrograph of a longitudinal section through a large sebaceous gland at the point of entry of the hair follicle. This gland produces the sebum that oils the hair and skin.